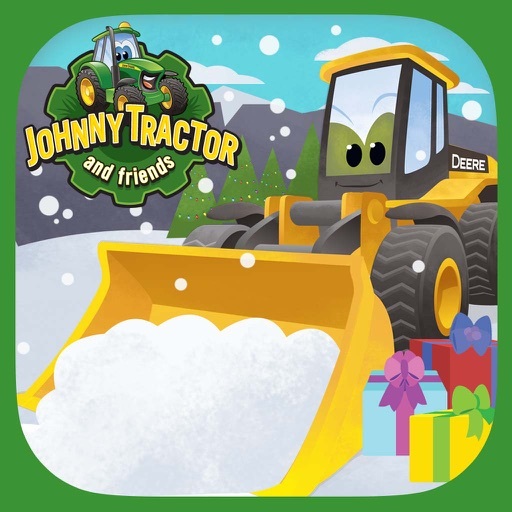 Johnny Tractor and Friends: Snow Day by Soul and Vibe Interactive Inc.
There’s a big holiday celebration planned in the town square tonight and Deerfield Valley has been blanketed in snow! 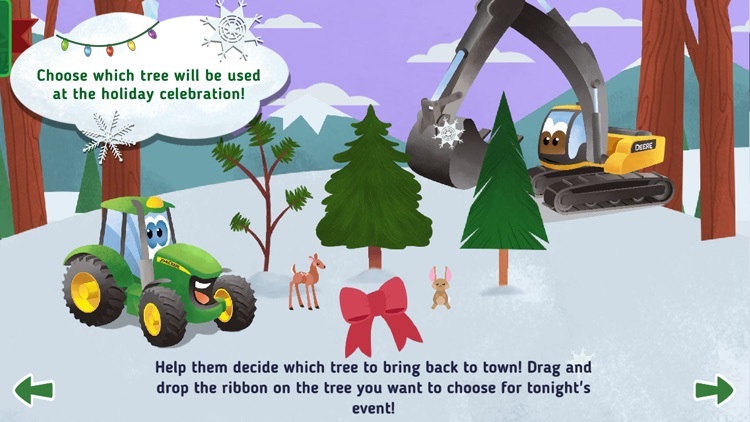 It’s up to Johnny Tractor and his construction buddies to clear the snow and decorate for the big event! 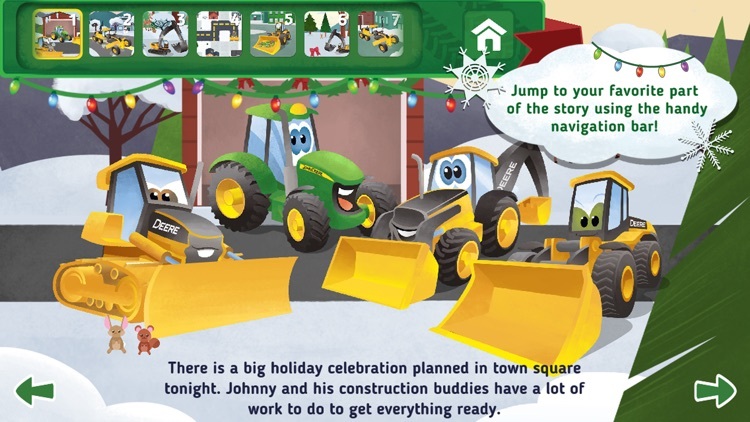 In this endearing interactive storybook that teaches the importance of teamwork and friendship, you can help Johnny Tractor, Danny Dozer, Eddie Excavator, Barney Backhoe, Grady Grader, and Luke Loader, get the town square ready for the holiday celebration! Clear the snow from the town’s streets, find and trim the perfect holiday tree, decorate town hall, arrange presents, and more! Friends always pull together! Johnny Tractor and Friends: Snow Day celebrates the holiday season and is a perfect and appropriate storybook for preschoolers. This storybook app is designed to help instill reading confidence in early readers and promotes the values of teamwork and friendship. 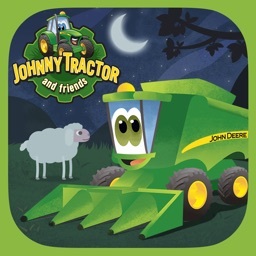 - Interact with Johnny Tractor, Danny Dozer, Eddie Excavator, Barney Backhoe, Grady Grader, and Luke Loader, fun characters based on real-world John Deere machines! 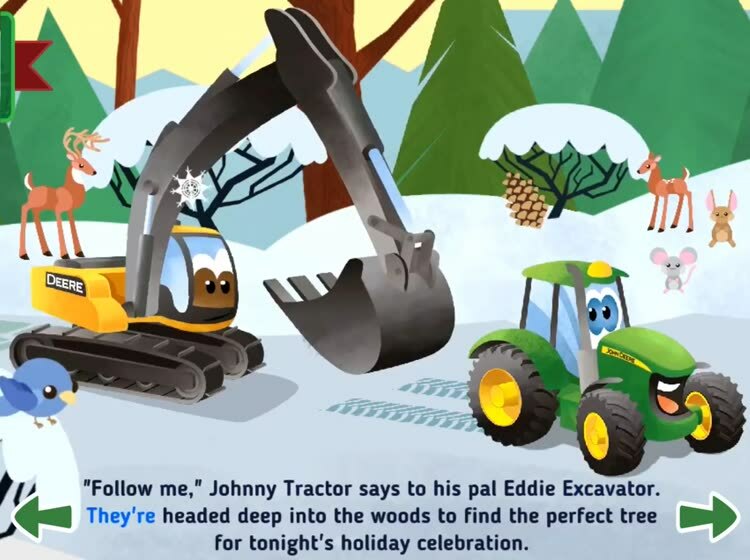 - Tap on Johnny Tractor and his construction buddies to progress the story; there’s interactive JOHN DEERE action and voices on each page! - Deerfield Valley and the town square come to life as you tap and explore each page! - Clear the snow from the town’s streets with Grady Grader and Danny Dozer! - Decorate the town square with Luke Loader and Barney Backhoe! 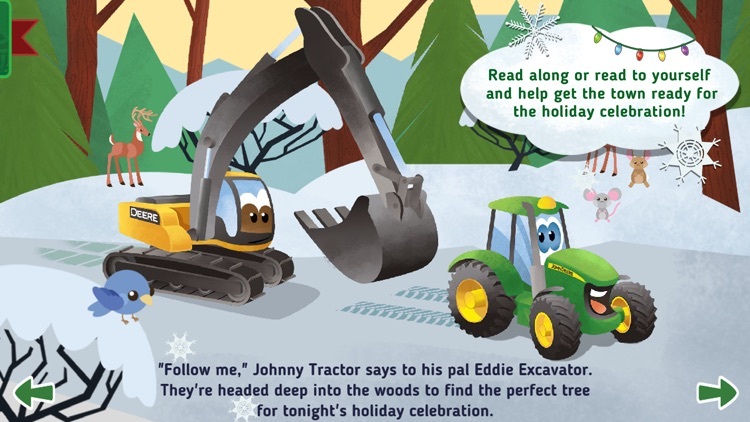 - Find and trim the perfect holiday tree with Johnny Tractor and Eddie Excavator! - Interact with the forest animals of Deerfield Valley! - Find the snowmen and swap their outfits! - Can you find all the hidden holiday ornaments? 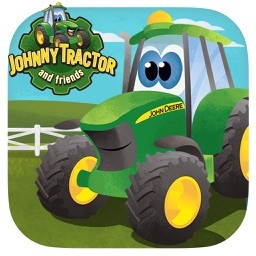 - Tap on Johnny Tractor and his construction buddies to learn about tractors, bulldozers, excavators, and more! 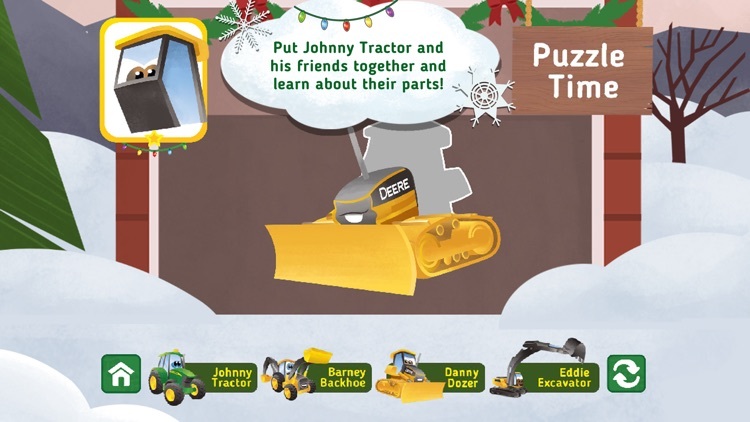 - Build Johnny Tractor and his construction buddies in the exciting PUZZLE MODE! - Create your own holiday greeting cards with the all-new Holiday Camera mode! Johnny Tractor and Friends: Snow Day is the second interactive storybook and John Deere licensed-brand product to be published by Soul and Vibe under its Soul and Vibe Books label. 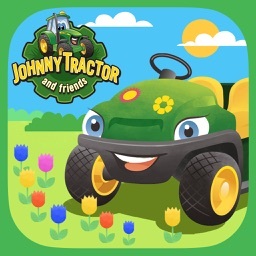 Also check out Johnny Tractor and Friends: County Fair and Johnny Tractor and Friends: Growing Season!